Tag Archives: Electrical Engineering projects. In recent years, there has been a rapid increase in the number of grid connected three phase inverter systems being connected to the distribution network. 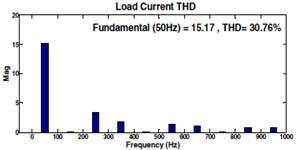 As a result, the need for high quality, low harmonic distortion, and current injection into the grid is essential. To achieve this, careful consideration of the inverter controller is necessary. 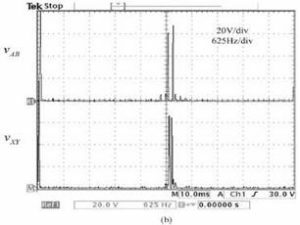 Many control methods are based on the traditional proportional-integral controller (PI), or the more recently adopted Proportional Resonant controller (PR). 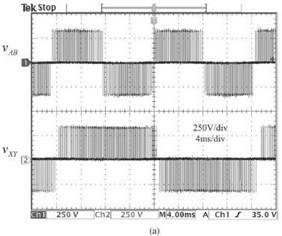 This paper presents a new technique of minimizing the error of the current control in a three phase grid connected inverter using a readily implementable Adaptive Proportional Resonance controller. 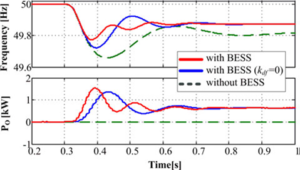 Simulation and experimental results demonstrate the effectiveness of the proposed technique. 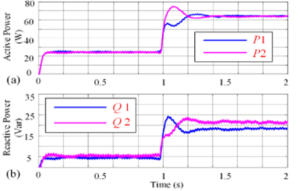 Fig.2 Simulation result waveforms. 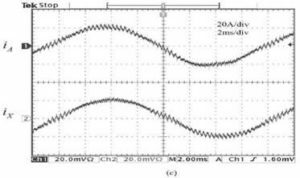 (a) Three phase voltage waveform. 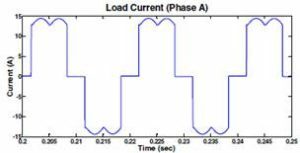 (b) Three phase current waveform. 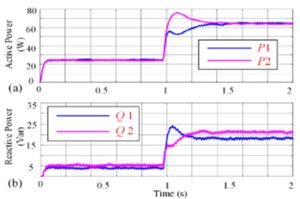 Fig.3 Simulation waveforms for conventional PR controller. (a) i-alpha. (b) ibeta. Fig. 4. 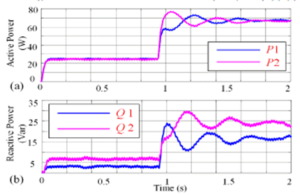 Simulation waveforms for adaptive PR controller. (a) i-alpha. (b) i-beta. Fig. 5. 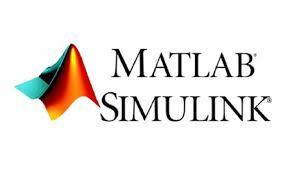 Simulation result waveforms unbalanced grid condition. 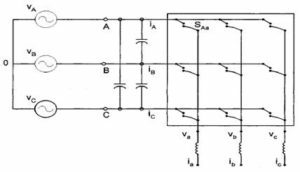 (a) Three phase voltage waveform. 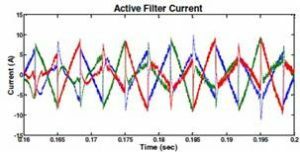 (b) Three phase current waveform. 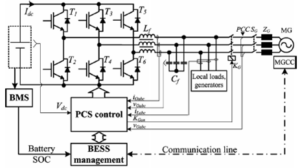 This paper has considered the impact of an adaptive PR current control scheme of a three phase grid connected inverter. 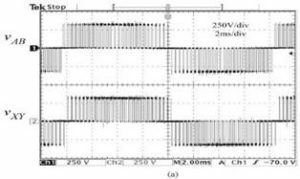 In particular, this work has shown the performance of the adaptive PR controller compared with the conventional PR controller which is popular in grid connected inverters. 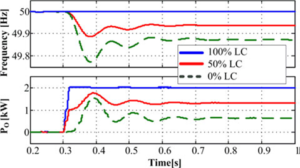 Simulation studies confirm that the adaptive PR controller demonstrates better performance under normal and abnormal operating conditions. 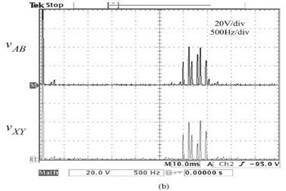 There is no steady state error output, and the harmonic content of the current waveform is very low. In addition, the adaptive PR controller offers superior output power regulation, and improved power quality performance. 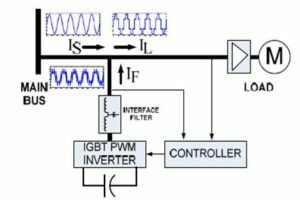 Overall, it can be concluded that the adaptive PR controller is better suited in the event of grid faults, or operation in weak grid environments, compared to fix gain controllers. 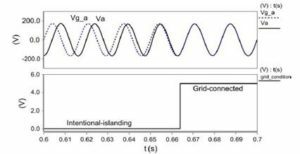 Wuhua and H. Xiangning, “Review of Nonisolated High-Step-Up DC/DC Converters in Photovoltaic Grid-Connected Applications,” Industrial Electronics, IEEE Transactions on, vol. 58, pp. 1239-1250, 2011. 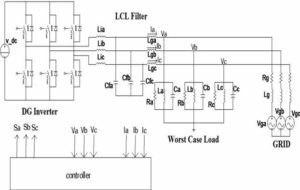 Chenlei, R. Xinbo, W. Xuehua, L. Weiwei, P. Donghua, and W. Kailei, “Step-by-Step Controller Design for LCL-Type Grid- Connected Inverter with Capacitor&#x2013;Current-Feedback Active-Damping,” Power Electronics, IEEE Transactions on, vol.29, pp. 1239-1253, 2014. 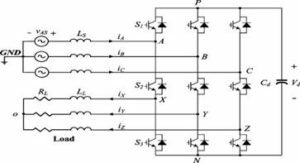 “IEEE Standard for Interconnecting Distributed Resources With Electric Power Systems,” IEEE Std 1547-2003, 0_1-16, 2003.